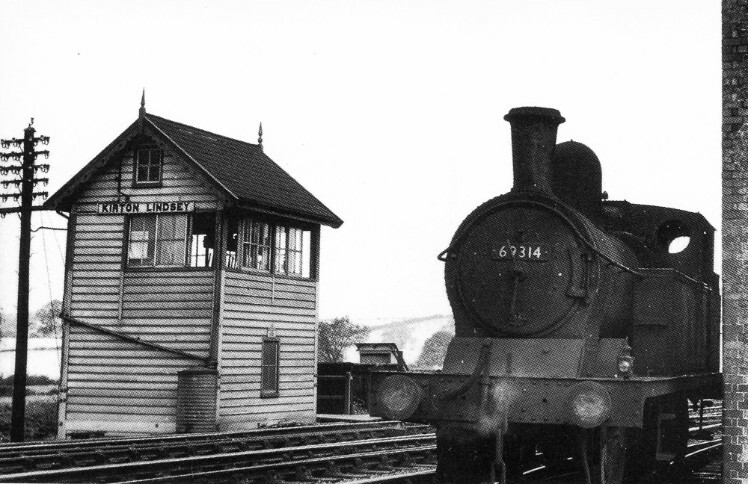 Kirton Lindsey signalbox pictured on the 8th of September 1956. 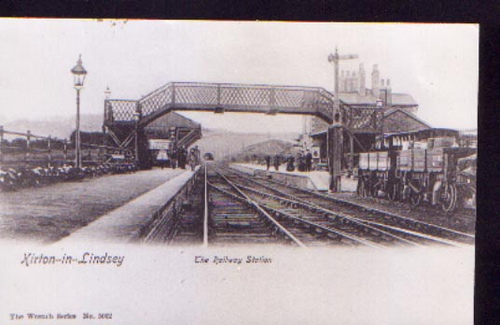 The Box was situated closeby to the existing and in use Kirton Lindsey Station on the former Great Grimsby & Sheffield Jn railway owned line. The line was subsequently taken over by the Manchester, Sheffield & Lincolnshire Railway Co. in 1847. Today the line is known as the 'Brigg Line' and sees only three passenger trains each way from Sheffield to Cleethorpes on Saturdays only. 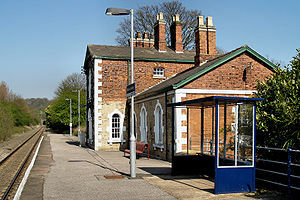 The station is still in use but the station buildings and station masters house are private dwellings, only the 'down' direction platform is standing. Although passenger numbers picked up in year 2006/7 it has sadly declined since 2004/5. The following SB today is the existing Kirton Lime Sidings and the next station is Brigg, although when this picture was taken it would have been Scawsby. Picture by H.B. Priestley, courtesy of G .Hurst, shared by C.Booth. This great picture shows the Station in full use around the 1800's. The tunnel can be clearly seen in the distance. This is Kirton Lindsey Station today showing Kirton Lindsey Tunnel in the background.